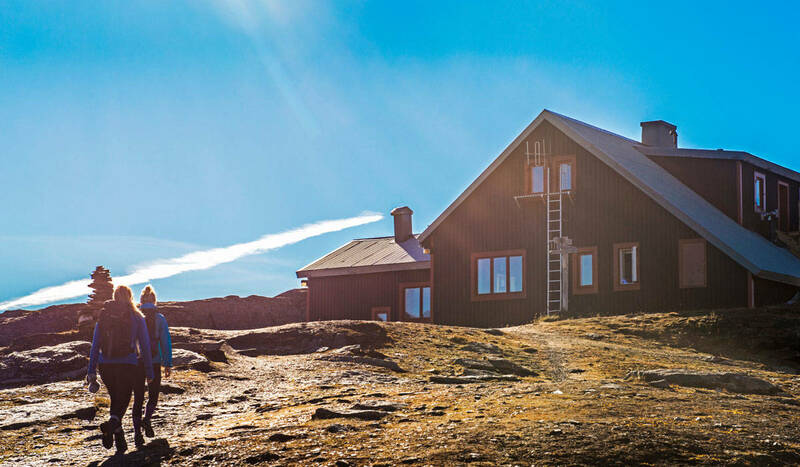 One thousand, two hundred and twenty-eight metres above sea level is where you find Sweden’s highest mountain station: Låktatjåkko. It takes you a couple of hours to walk there from Björkliden and half-way is probably where you’ll start craving the waffles. I’ve been here plenty of times — in summer as well as winter — and I guess that’s why I’m already thinking about the waffles. I’m trying to decide whether to go for cloudberry or raspberry jam, but in the end I give in: it has to be cloudberries — I’m in Lapland after all and the berry is in many ways synonymous with Låktatjåkko, as the mountain hut has used the cloudberry in its logo for a long time. 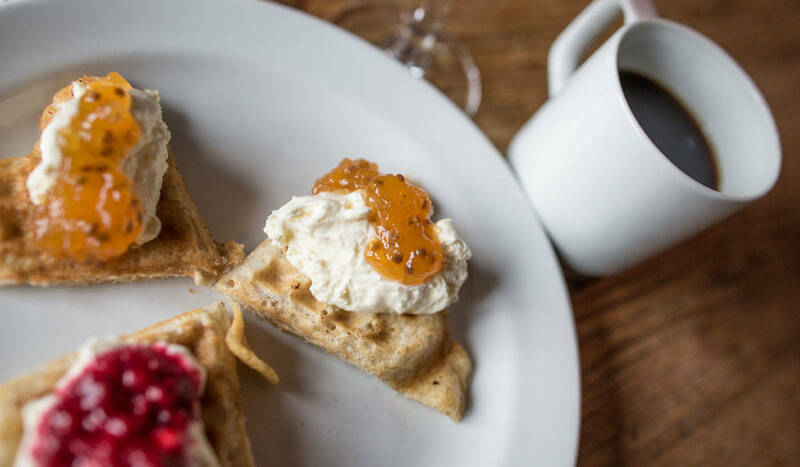 If you want to add additional heavenly flavours go for the waffle with cloudberries and Västerbotten-cheese! In summer, you can hike all the way to Låktatjåkko. About 9 km from Björkliden. The hut was built in 1939, in the middle of a raging war. The land west of Kiruna was a roadless land and hiking paths and watercourses were used for all transport. Sure, the railway was built back in 1902 and even if the railroad was called ‘the Ore Line’ and used for ore, tourists could go by train up to Björkliden. People have always been interested in locations that are highest up and furthest away, so it was decided that a hut would be built in the Luoktačohkka mountain pass. 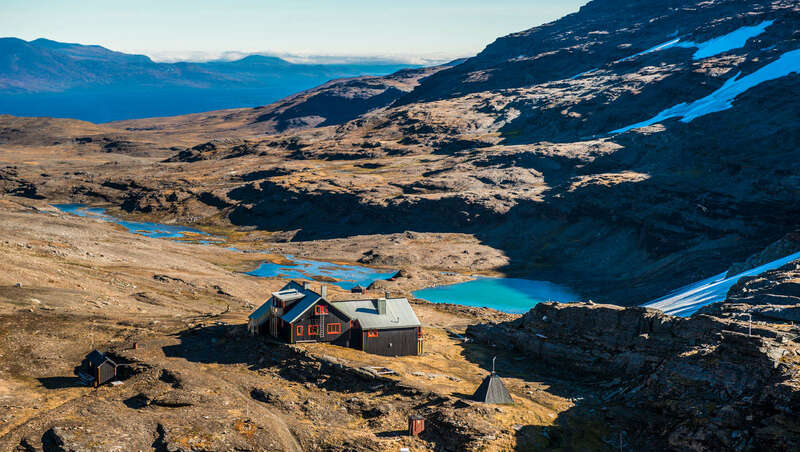 It was probably no coincidence that it was built during the war, but since then — the end of the Second World War — the 75-year-old hut has served us life-loving mountain hikers in style. 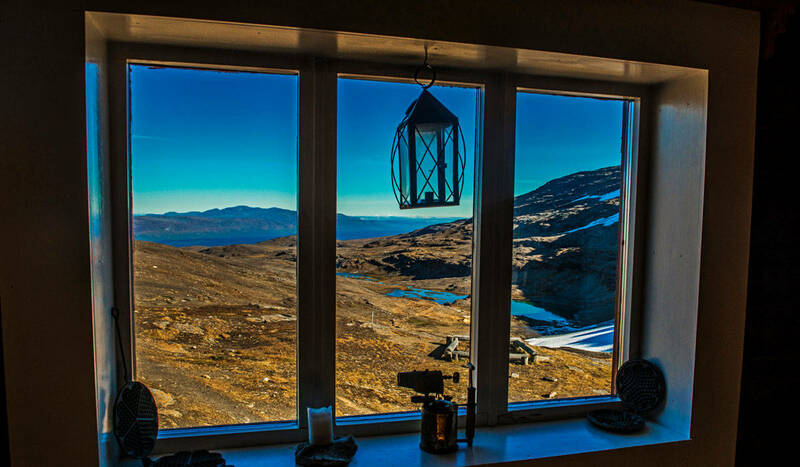 Not all mountain huts in Sweden offer you a bit of la dolce vita between bare rock outcrops, moss and last winter’s snow, but ‘Låkta’ is definitely one of those places; after your three-course dinner you just want to huddle up in front of the fireplace and enjoy the contents of your cognac cup. 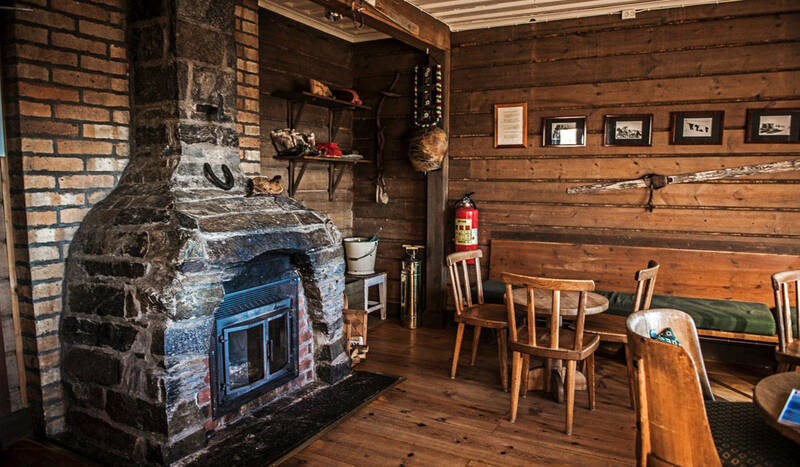 A rustic, but warm and welcoming atmosphere awaits. It’s true that Swedish-style mountain hiking has always been like a snail struggling with its heavy load across the land, but there is something charming about this, too. Carrying your own house on your back. I don’t mind it. I’ve got nothing against sleeping in a tent and carrying heavy loads. At no other point in life will it be easier to choose a room with a view than when you’re effectively carrying it. Soon you will understand that ‘the road is worth the effort’ every time you set off on a hike through the mountains of Swedish Lapland. In the past it was all about getting from a to b whilst carrying a slightly too heavy rucksack. 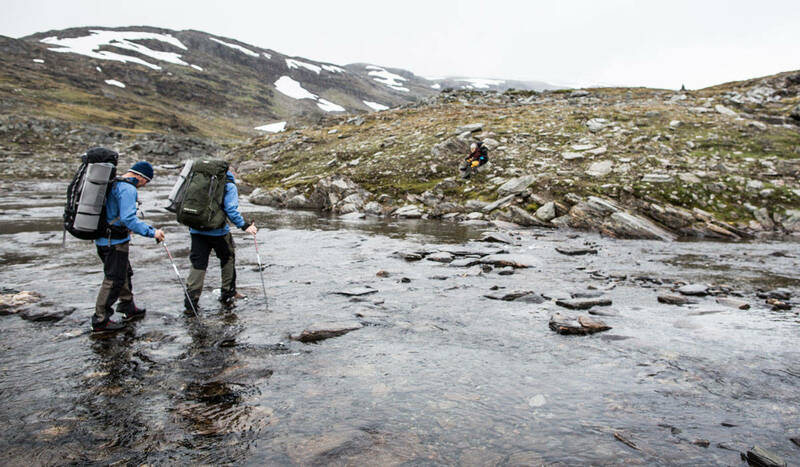 Perhaps power through all the stretches on Kungsleden — the King’s Trail. But lately the focus has changed slightly. Ah, the famous waffles or 'Låkta-våfflan' as we call it. With cloudberry jam. Photo Fredrik Broman. More and more hikers opt for going to one place and then walking shorter day trips from that starting point. You get a comfortable and organised evening, but will still enjoy hikes during the day. Personally I also appreciate the simplicity and comfort of staying somewhere nice and — above all — to be able to eat well. Life becomes much less about planning and more about possibilities; you can really seize the day when you choose shorter day trips and all you have to worry about is what drink will go best with your food. This is becoming more and more common in Swedish Lapland. Björkliden is near Låktatjåkko, as mentioned above. 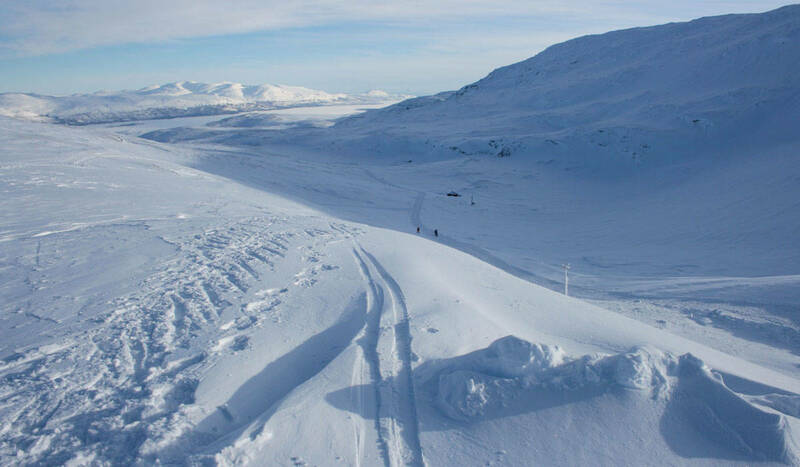 Further west is the classic Riksgränsen and to the east the famous hiking attraction Abisko: the starting or finishing point for the King’s Trail, depending on your disposition. 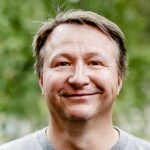 You can also combine Abisko and Riksgränsen via Rallarvägen. Kebnekaise is yet another exciting destination for the mountain hiker who prefers day trips, of course. And if you’re lucky and the weather plays along, why not run up to the highest peak in Sweden? You’re here anyway. Further south in Swedish Lapland is Saltoluokta, in World Heritage Laponia, a place that has become a true paradise for the life-lover escaping from reality. And a bit further south still is Ammarnäs, right in the middle of Vindelfjällen Nature Reserve where a whole new system of shorter trails has been inaugurated this year, with perfect timing, ‘for hikers who prefer trails that are always within easy reach of a glass of wine’. To hike in the mountains doesn’t have to mean hardship any more. Rather, it can be pure pleasure. In winter you can go by snowmobile, skis or by snowcat. 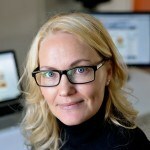 Photo: Maria Sirviö. But back to Låktatjåkka. Back to the mountain pass between two peaks, back to a beautiful view and homelike atmosphere. Back to the question of whether to have another Låkta-waffle or do a bit of trail running before dinner. But really: why choose? There’s an opportunity here for both. The yin and yang of the mountains: first a bit of effort, then the reward. The reverse order works as well. Dinner today, I read, consists of mini beetroot patties with goat’s cheese balls covered in pine nuts served with smoked reindeer heart as a starter, elk entrecôte with Hasselback baked potatoes and fried chanterelles for mains and also, because at least I’m thinking about running, the dessert is tempting: dark chocolate cake with spicy pears and vanilla ice-cream. Exactly the kind of stuff I love. On the way to Låktatjåkko. Photo by Fredrik Broman. Låktatjåkko Mountain Lodge offers accommodation with 18 beds in 10 rooms. All rooms have a washbasin in the room, shared shower and toilet in the corridor and breakfast included in the price. You can hike there during summer time, in winter you can go by skis, snowmobile or snowcat. Find out more by visiting Lapland Resorts website. Once I’ve decided, I get changed. 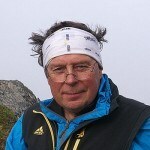 I produce running tights and a windproof jacket, as well as a hat to protect from the wind. Then I order another one of my favourite waffles, a coffee and a large glass of water. I sit down and write a postcard from the highest bar in Sweden. I write about what a good time I’m having and once I’m done eating I get going towards the mountain. On the way out the hostess Ulrika tells me that the sauna will be heated by the time I’m back — if I want it to be. And the very thought of a warm sauna and a cold beer is all you need to picture as a goal to run towards, so I say: “yes, please”. 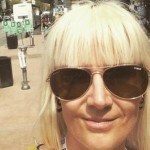 Then I put my postcards in Sweden’s highest letterbox. In a couple of days’ time my friends will know all about what a great time I’m having. Right now I’m the only one who knows. But to me that’s always been enough — this very feeling of being full and satisfied, in a beautiful spot. Hiking is multidimensional. It offers something for your mind, and your body. If you hike along the King’s Trail in northernmost Swedish Lapland, you’ll see some of the most beautiful things Sweden has to offer. But good people, remember to be safe. You are, after all, in the Arctic. So you’ve skied them all, you know your thrills and you think what else? 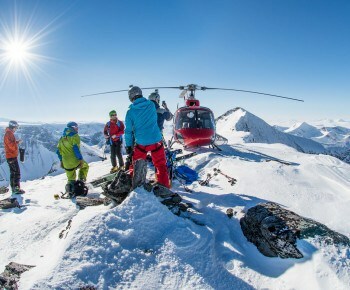 Don’t take my word for it; heliskiing in Swedish Lapland need to be on your bucket list. Cold powder far into the season and even the option of trying it under the midnight sun. Here’s a taste of what you might expect.  Are you curious of what kind of plants that grow in the harsh mountain climate? 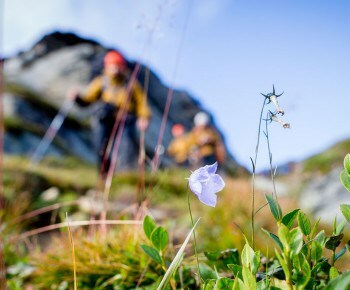 Ever wondered what that cute, white flower is called that you passed several times on your hike? 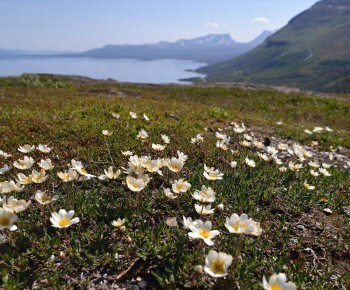 Göran Wallin gives you a quick guide to the flora of the Swedish Lapland mountains.